I’m a sucker for these simple background base maps. I am designing a new minimal OpenStreetMap base map in TileMill to use with MapBox hosting platform map builder. The goal for the design is a general OpenStreetMap layer that can be used as a light, very subtle background for compositing further data on top of. Here is an early look at the features and design aspects I have been working on for the map. Read the post, this is how you create a baseman you can actually use. Stop putting your data on top of map services designed for navigation that end up clashing/competing with your story. 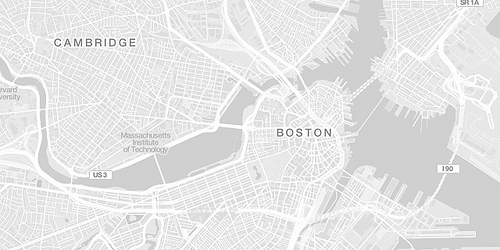 Oh and MapBox and TileMill are still very awesome! Windows users should note that TileMill will be available on Windows any day.